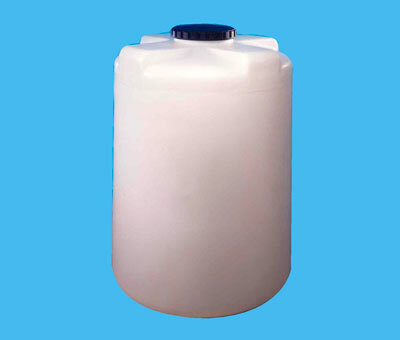 The vertical storage tanks have a wide range of applications. They can be used in the chemical industry, in horticulture and in water treatment, and are used by a large number of companies for storing chemicals for their production processes. De tanks are madew of LLDPE according to the rotational molding process, so seamless, tension and break free and have excellent chemical resistance. There are 10 models available with a man hole lid and a diameter of 500 mm and content sizes of 1.100 to 15.000 liter. In addition the tanks can be fitted with flange connections (filling level, vent, suction and overflow) and are supplied with a leak bin. Black is also available besides natural.